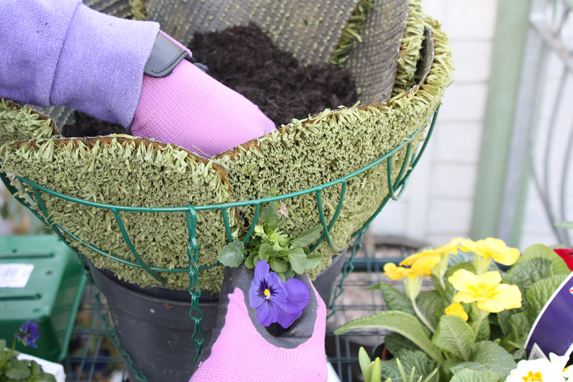 We show you how to create a stunning Easter hanging basket in this simple step by step guide. 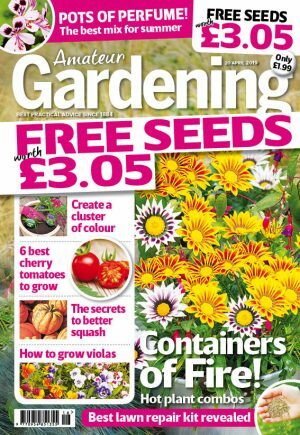 If you are looking to create hanging baskets this Easter weekend – look no further than our simple step-by-step guide from Amateur Gardening magazine. Step 1) First place a liner into the basket and secure with plastic ties if required. 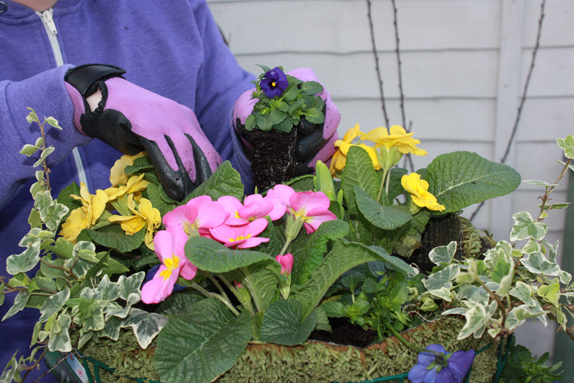 Once in, start by covering the base of the liner with multipurpose compost. 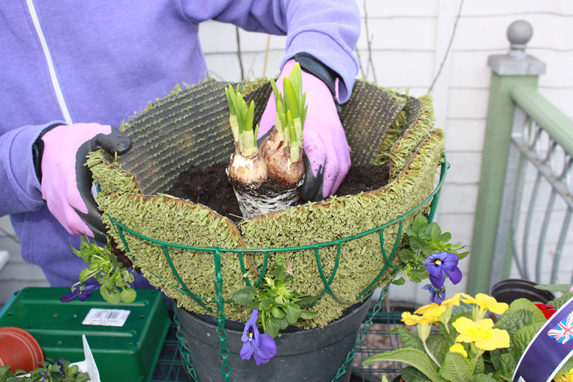 Step 2) We have selected some sprouting dwarf narcissus, so these will be placed in the centre of the basket. The blooms will be held above surrounding plants. 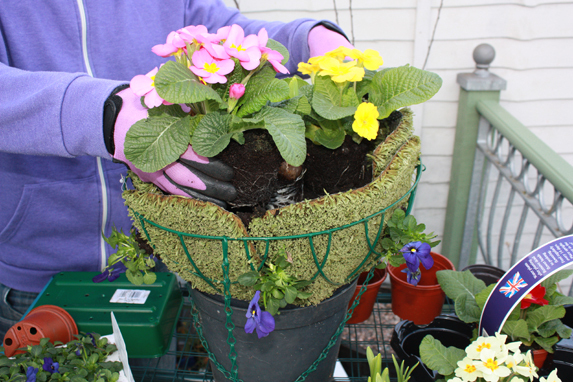 Step 3) Next to go in are some coloured hybrid primroses. Three, planted equidistant around the narcissus, will look good. Step 4) A basket always looks more pleasing if there is a trailing element. Variegated trailing ivies look good and will thrive even in cool temperatures. 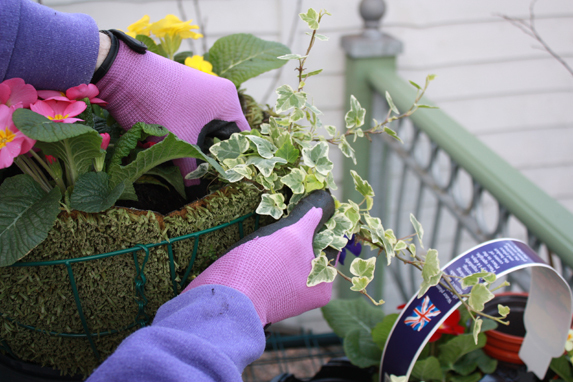 Step 5) The last plants to go in are several deep blue violas, both as gap fillers in the top, and set at intervals around the sides of the basket. 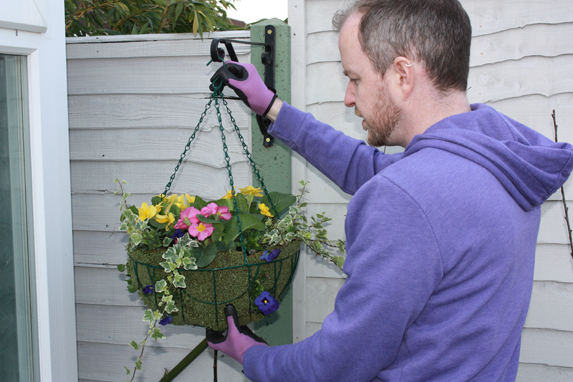 Step 6) Hang your basket on a strong bracket, securely fixed to the wall or a fence post, as here. Then water your plants in. Good luck – and we hope you have a lovely Easter weekend.